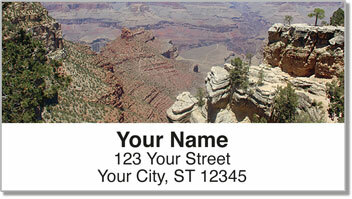 Don't risk life and limb taking your own pictures when you can make these breathtaking canyon views your very own, compliments of one of the adventurous photographers here at CheckAdvantage. These awe-inspiring images will transport you-if for only a moment-to the magnificent gorge that the Colorado River continues to carve out of Arizona, The Grand Canyon State. 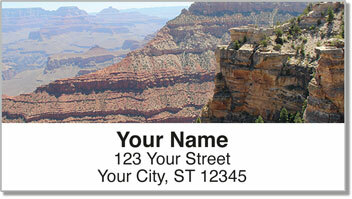 Now available as Arizona Canyon Address Labels, this design matches our popular Arizona Canyon Personal Checks. 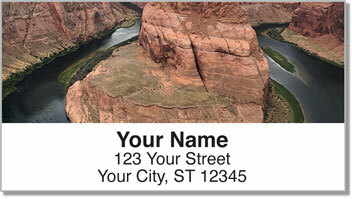 They make for a quick and easy way to include your return address on envelopes and packages. 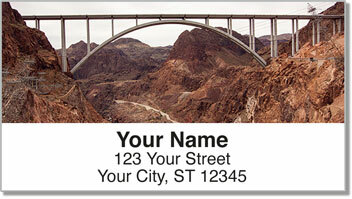 Order both personalized products today!